Our current and enduring love of the hexagonal shape is beyond question. But could it be that it may stem from something far deeper and more instinctive than just our natural appreciation of pattern? After all, when you think of turtle shells and beehives, it’s a design that nature has favoured since time began. 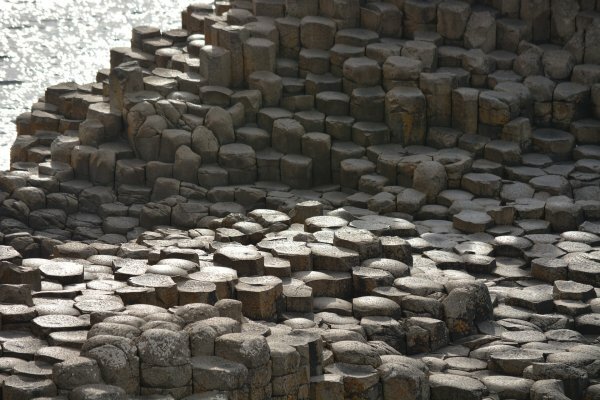 “From honeycombs to pineapple skin, to the basal columns called the Giant’s Causeway, this naturally forming geometric shape is all around us,” says Justin Lashley, specification sales at Waxman Ceramics Architectural Tiles. In fact, the more you think about it, the more you realise that we’ve incorporated the six-sided polygon everywhere – we’ve added it to footballs, to bolts, to pencils. 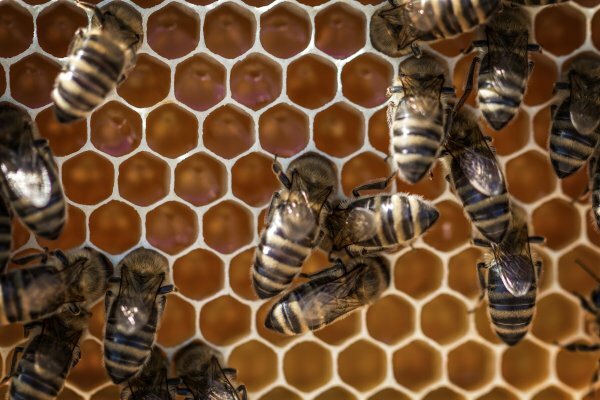 Are we hardwired to love the hexagon in spite of ourselves? And has the fact that we’re accustomed to being surrounded by it imbued us with an affinity that we can’t resist? 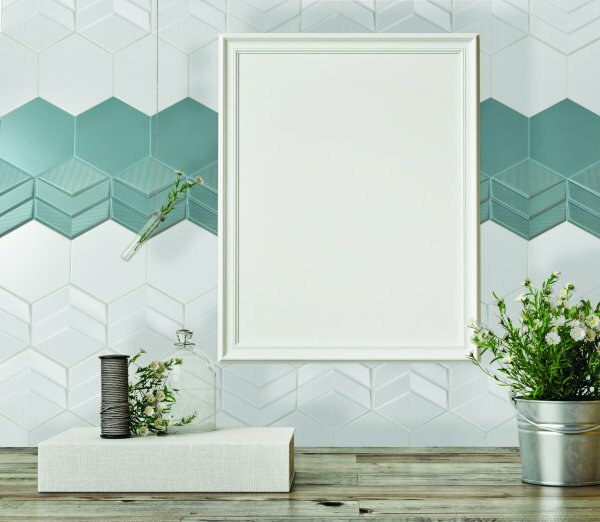 It’s this surge in popularity that has led the Waxman Ceramics to introduce two exclusive new tile ranges – the Hudson and the Marseille. 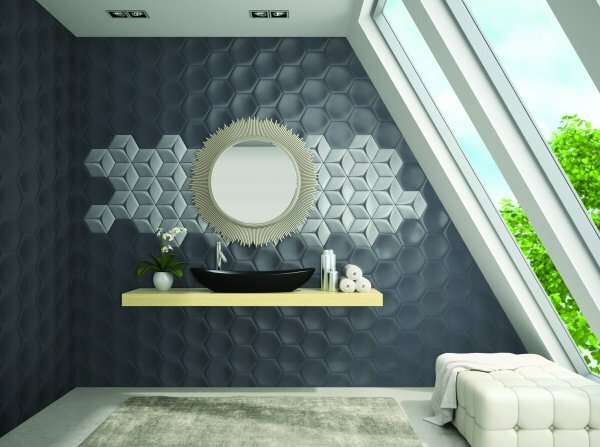 Both of these collections capitalise on the trend for textures in tiles, seen over the past few years, and also the current passion for all things hexagonal – and this combination is proving a hit with consumers. Sarsen Stone brand Ca’ Pietra has also caught the hexagonal wave. 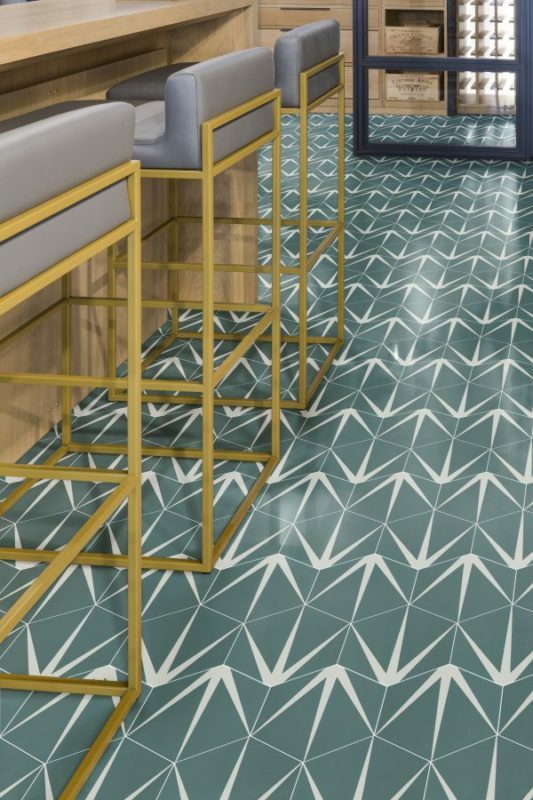 Its patterned Lily Pad tile has become an Instagrammer’s icon, to the extent that as well as having the original cement encaustic version, the company has recently launched a porcelain version at a lower price point to capitalise on demand.